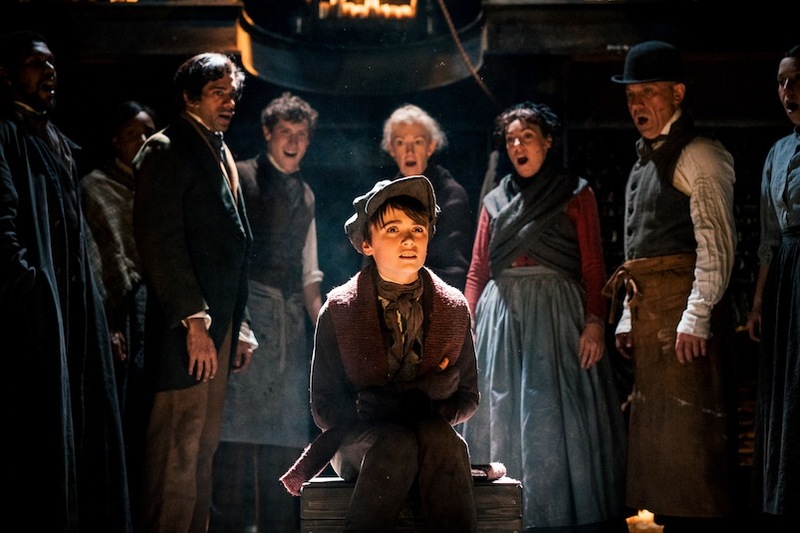 If this wonderful adaptation of Charles Dickens’ A Christmas Carol, doesn’t put you in the festive mood, I’m not sure what will! 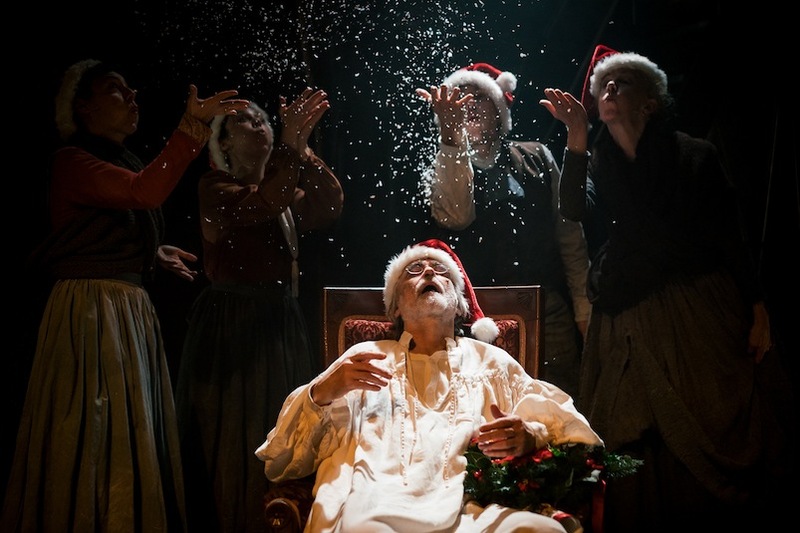 A modern but nonetheless familiar version of the classic story of Ebenezer Scrooge, this highly atmospheric piece of theatre really is a spectacular treat that can’t fail to impress. 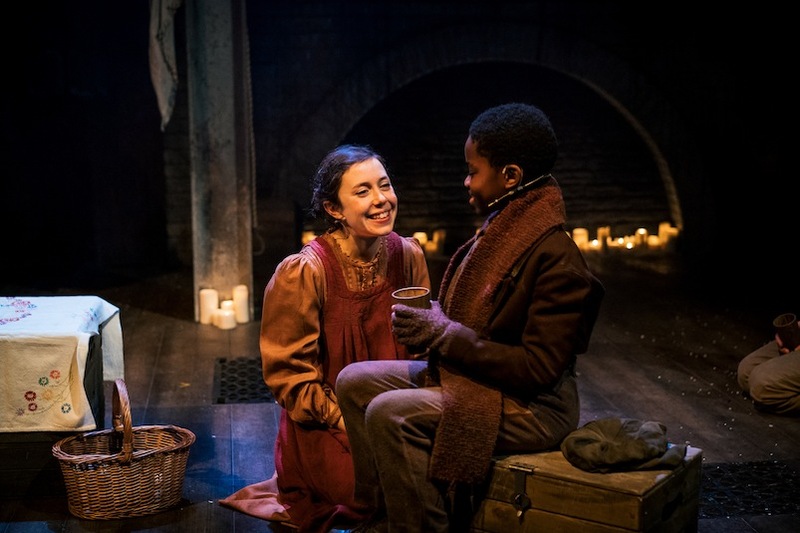 It’s freshly adapted for the stage by the award winning Deborah McAndrew – and she successfully puts a new interpretation on this much loved novel that unsurprisingly became an instant best seller from the moment it was first published in December 1843. 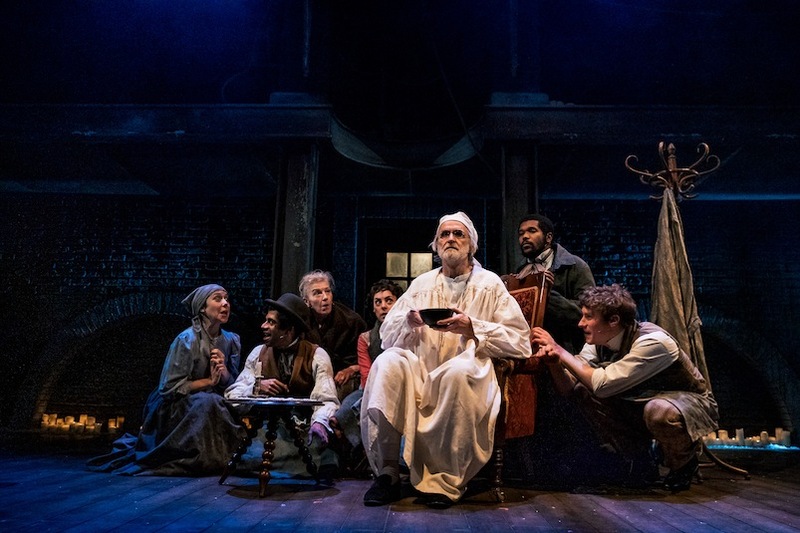 The well executed contemporary script, which was first seen last year at Hull Truck Theatre, roughly sticks to the original and well versed story, of Ebenezer Scrooge, who is magnificently played by Robert Pickavance. After spending years of penny pinching and making the lives of everyone he comes into contact with, including his loyal and badly done to assistant, Bob Cratchit, he is visited by the ghosts of his former, and equally mean, business partner, Marley, as well as the visions of his past, present and future. However there are a few enchanting additions, including a rather sparkly elf like fairy, complete with a twinkly wand, as the ghost of Christmas present, and a special well-placed and aptly timed visit from Santa, Rudolph and Dancer, to the utter delight of the younger members of the audience, not to mention a few mischievous antics from some naughty spirits. But this show isn’t just for kids. 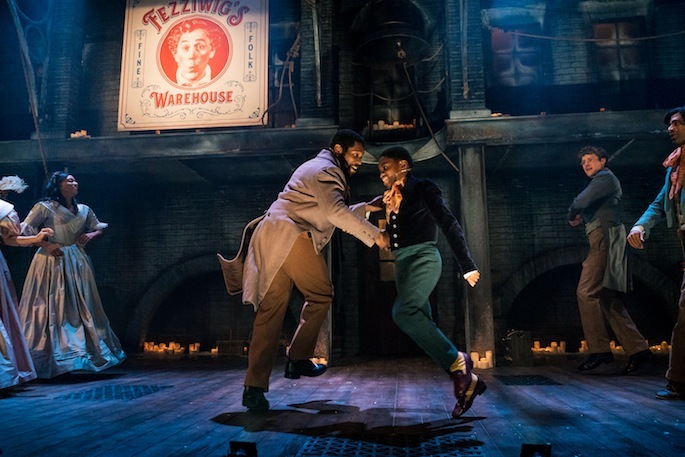 Adults will be equally as impressed by the incredibly atmospheric set that successfully transports you back to the hauntingly dark streets of 19th century Leeds, the second-to-none acting and superb choreography where music and dance are fabulously entwined into this wondrous production. Situated in the Playhouse’s temporary but excellent pop-up theatre, while the main building undergoes a major over haul, this heart warming family show is real Christmas cracker that not only ticks all the boxes but poignantly reiterates what the true meaning of the season of good will is all about. It’s no surprise extra performances were added to the run and that tickets are selling fast. You would have to be Ebenezer himself, if you fail to leave this perfectly performed festive production full of Christmas cheer.